Bobby Gruenewald is passionate about exploring new ideas and finding practical ways to leverage them for the global Church. He serves as Pastor, Innovation Leader at Life.Church, a multi-site church based in Oklahoma. Meeting in over 30 different physical locations and globally online, the church is devoted to helping people around the world become fully devoted followers of Christ. Gruenewald is also the founder of the YouVersion Bible App, which has been installed on over 300 million devices. Working with Senior Pastor Craig Groeschel, Gruenewald has helped shape Life.Church’s missional approach to technology, reaching people in every country in the world through initiatives like Church Online, the YouVersion Bible App, and the Bible App for Kids. Rooted in a strong belief that churches can accomplish more working together, Life.Church has created a suite of free tools for church leaders including Open resources, an online library of sermons, ministry resources, and ideas. 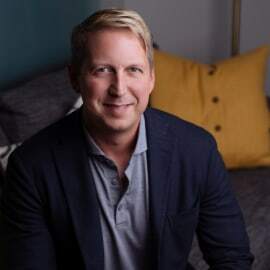 As one of the leading voices in the Church on innovation and the use of technology, Gruenewald frequently writes and speaks on the topic, and has been featured in The New York Times, Washington Post, NBC Nightly News, TechCrunch, CNN, CBS, Stanford Business Magazine, and more. He was also named to Fast Company’s list of the 100 Most Creative People in Business. Prior to joining the Life.Church team in 2001, he started and sold two technology companies as well as served in advisory capacities for various startups and venture capital funds. His focus now is completely on Life.Church and the incredible things God is doing in lives of people each day. Gruenewald and his wife, Melissa, live in Edmond, Oklahoma with their four children.